The only app you need to support local. 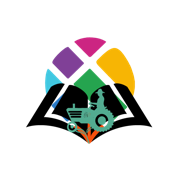 Support all your local farmers, artisans, food trucks and restaurateurs at the tap of a click. Find that local honey at the market or that coffee everyone has been talking about. Order your favorite products so they're ready for pick up. Have your items ready for you when you get there. 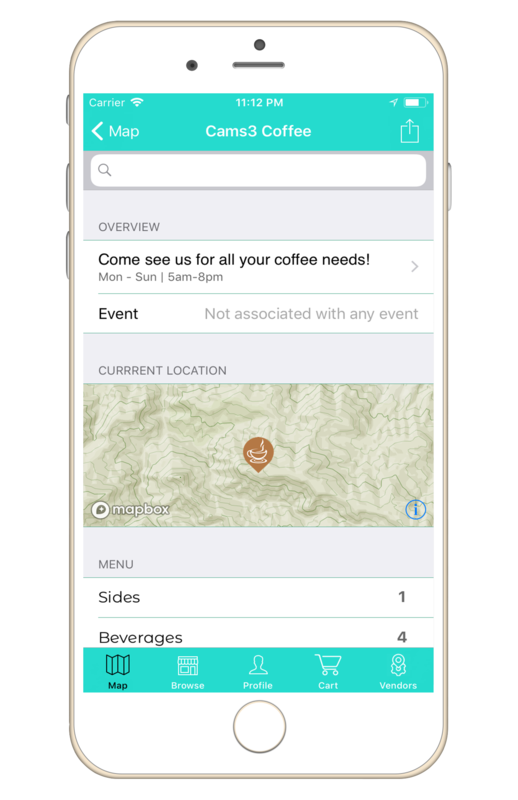 Arkitu makes it easy to see what local vendors are around you. 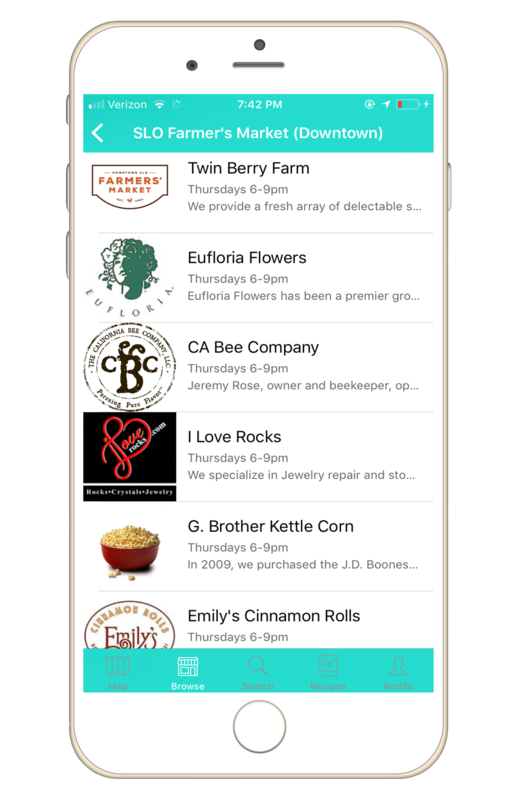 Whether you are curious what is at the local farmers market or want to discover a new food truck, Arkitu has you covered. 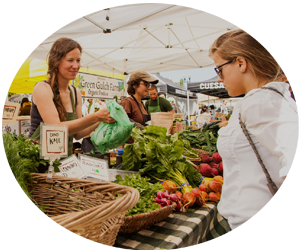 Build healthier, stronger, and longer lasting relationships with local vendors. With Arkitu, you can read about a vendor even before you go to see the vendor. This helps you understand a vendor and their background a little more before you go interact with them. 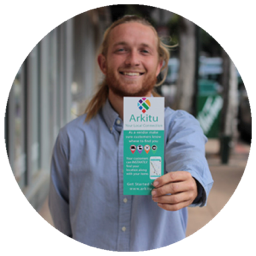 Read their description, contact info, menu items, and other important content about that vendor on their profile in the Arkitu App. Order through the app to save time. 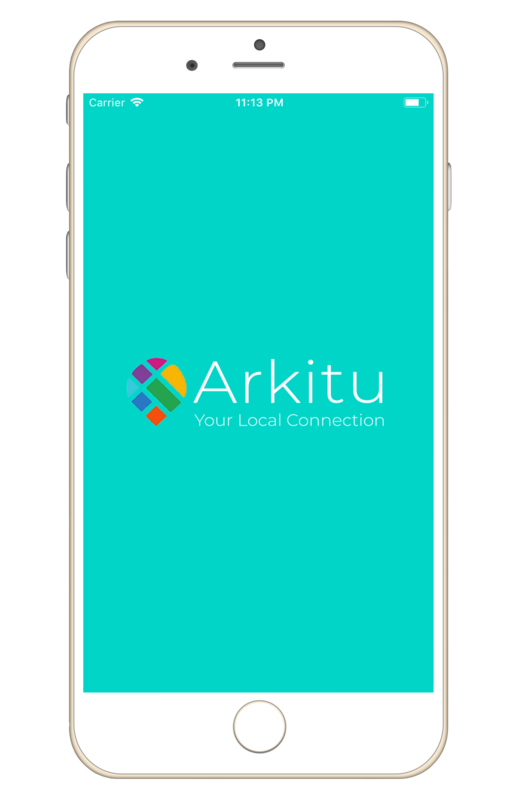 The Arkitu app allows you shop for those favorite items BEFORE you even go to the market or vendor. This ensures that you save time but still get that human, face to face interaction with the vendor. We know the vendors beyond the booth, and think you should too! We love working with the vendors and farmers who become part of the Arkitu family, and want to share their stories with you. This is why we decided to start Arkitu Stories. 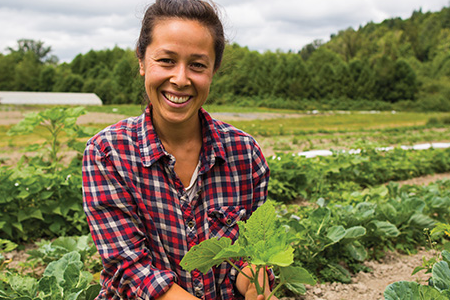 These stories will represent vendors and farmers lives' beyond the booth. We believe you should have support when you need it most, don't you? The Arkitu Team aims to provide as much support as possible. Feel free to reach out to us if you have any questions, comments, or just want to say hi! Use the app WITHOUT an account. 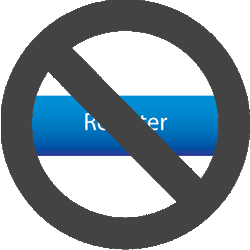 Most apps ask you to login to start. 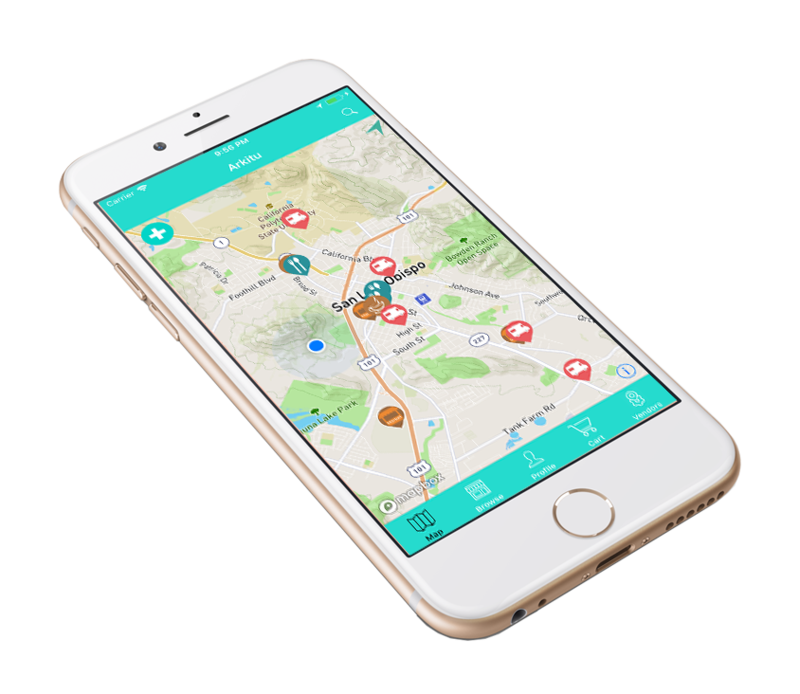 With Arkitu, just download and checkout what's around you! No need to login unless you want to buy. 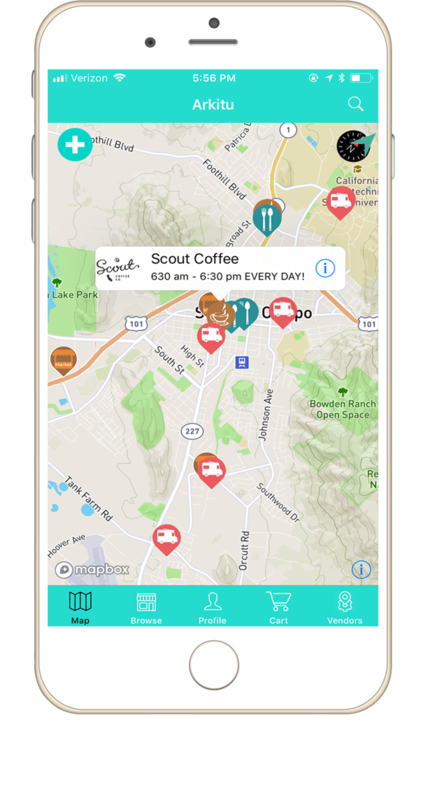 See the local vendors that are around your location. Either browse vendors on a map, search by city, or keyword. It's that easy! 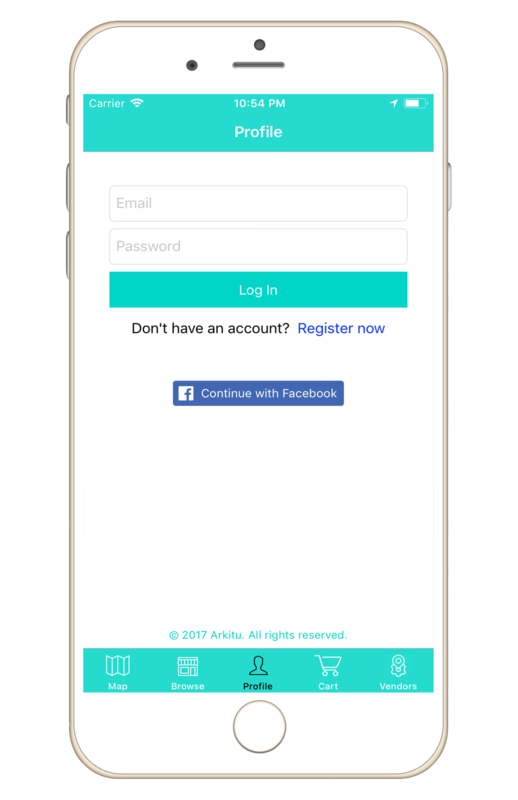 Create an account with Arkitu to buy product with a tap of a button! Simply just login with Facebook or create an account, link a card, and your done! Since you have found that one-of-a-kind vendor, support them! Buy their products directly through the app — then just go pick them up! Arkitu provides an easy to use platform that enable the consumer to find local products in their area. Buying local not only helps the local economy, but also improves your health and the environment. Yes! Your security is VERY important to us (expecially with everything going on in today's world). All your payment information is handled by Stripe, check out some of the thousands of companies they support here. Why would I use Arkitu and not just pay cash? 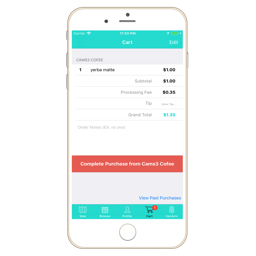 Arkitu makes it very easy to pay ahead so you can save time and go pick up your item(s), no waiting involved! Nope! If you want to cancel AT ANY TIME, we would be sad to see you leave but we understand. Are you a vendor? Get connected with us! We believe you have awesome products that more people need to see. That's why we built Arkitu, an easier way to connect with more customers. COPYRIGHT © 2018. ALL RIGHTS RESERVED. ARKITU CO.